Are you trying to decide what kind of material you should use for your kitchen countertops? 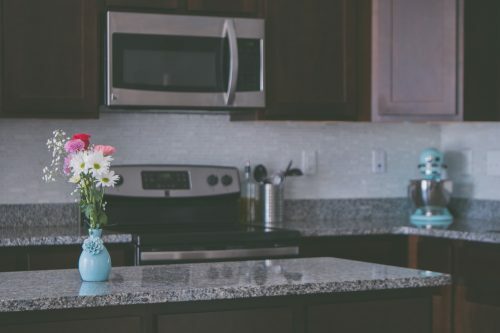 If your choice is between granite and quartz, you’ll want to look at the pros and the cons of both types of materials. If you’re familiar with both materials, you should be able to make the best choice for your kitchen. One of the biggest benefits of granite is that it’s heat resistant. You can place hot pans directly on your granite countertops without causing any damage. Also, granite doesn’t fade, and the minerals that are within granite give it a uniquely appealing appearance. Finally, granite is a sanitary surface that’s great for cooking and cleaning. Unfortunately, granite requires quite a bit of maintenance; you’ll have to reseal your granite countertops every year. Buying granite for your kitchen can also be a big investment. Quartz is non-porous, which means it’s more stain-resistant than granite and other popular countertop materials. The non-porous nature of quartz also means that bacteria and other types of viruses won’t be able to thrive on its surface. Quartz is scratch resistant, which means your counters should remain in great condition. Additionally, both granite and quartz countertops can increase the value of your home. However, unlike granite, quartz isn’t perfectly heat resistant. It’s also a very costly material. According to averages, it’s 18% more expensive than granite, and it is a whopping 270% more costly than laminate. It’s also poorly suited to outdoor use. 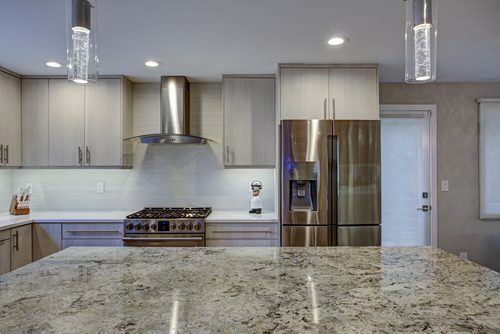 It’s a wise idea to look at the advantages and disadvantages of both granite and quartz before you choose a material for your kitchen counters. Familiarizing yourself with the different options should enable you to select something that will fit in very nicely in your kitchen.